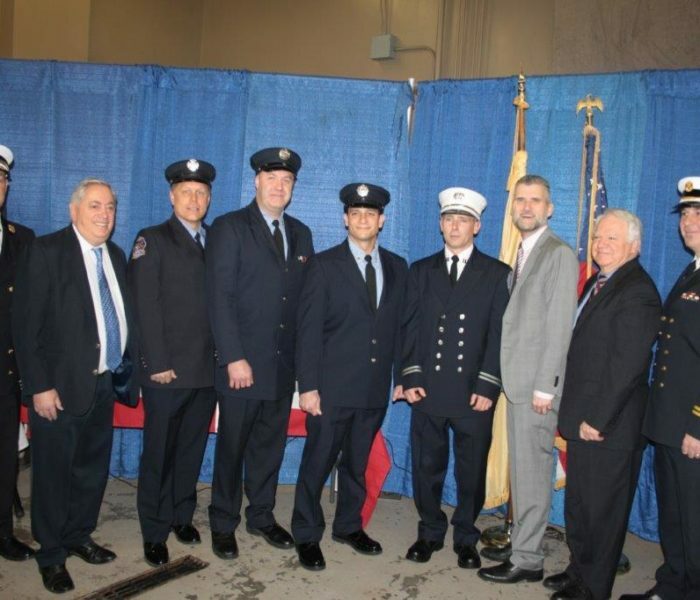 Christmas came early for five members of the North Hudson Regional Fire & Rescue on the morning of December 18th at Fire Headquarters, in West New York. 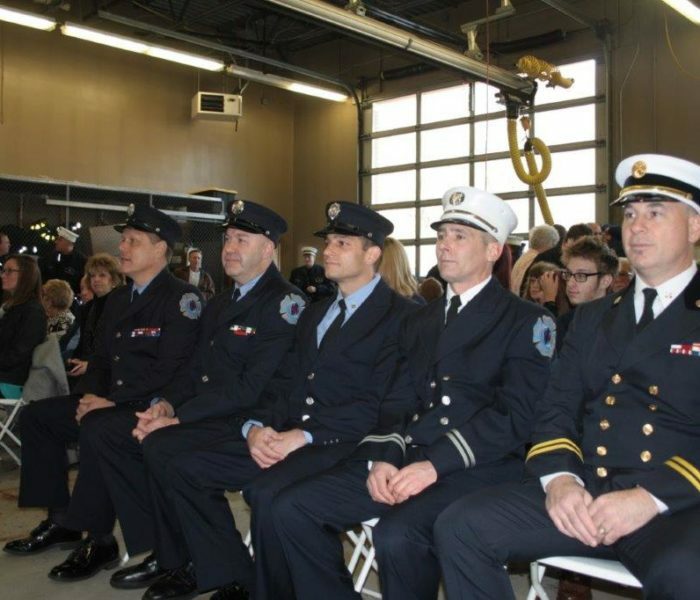 The department has a new deputy chief, battalion chief and three new captains. Promoted were Mark Lorenz to deputy chief; Alan Williams to battalion chief; and James Lisa, Erik Wilson and Richard Gora to captain. 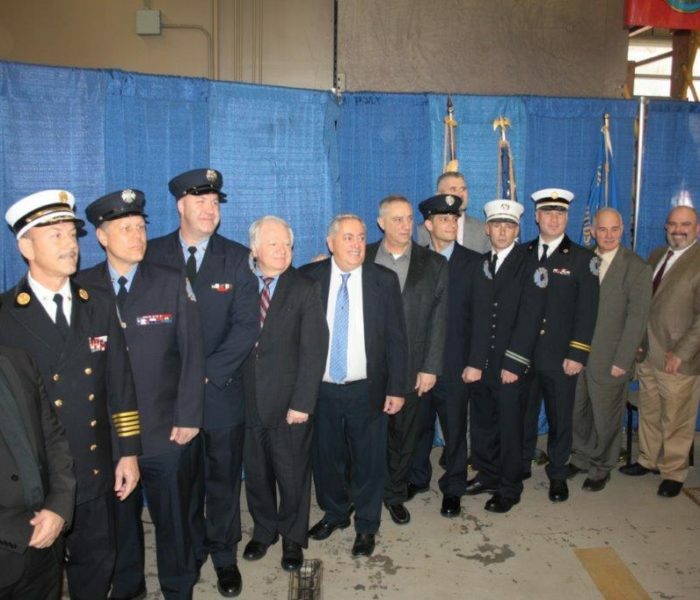 The ceremony was filled with family members, on and off duty and retired firefighters, plus officials from the five municipalities that comprise the regional fire department-Union City, North Bergen, West New York, Weehawken and Guttenberg. 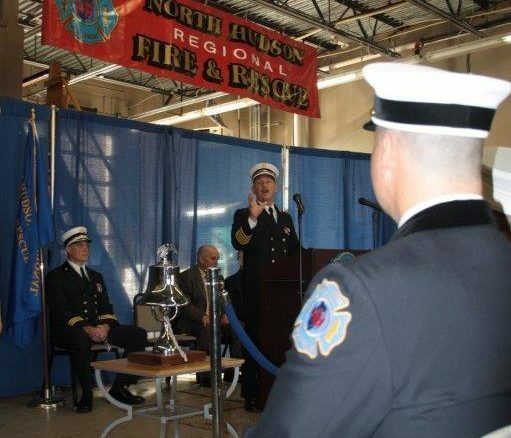 Chief of Department Frank Montagne mentioned that there were 37 recruits currently in the fire academy with the possibility of more firefighters being hired in the near future. “You are the future,” Chief Montagne said. “I have confidence you will do a great job. Make your mark,” he added.